Within every human being lies a subconscious desire to express themselves in some way, be it to explain their thoughts or feelings about a certain topic or to increase other people’s awareness of a particular piece of information. There will always lie a subconscious desire to express our perception of a certain thing. Thus, this is the perfect reason to create and design your own personal blog. There is no actual need to worry about whether the process of creating a blog site is complicated or not because we will be showcasing 20 different personal blog WordPress themes that you could easily purchase. Doing so will simplify the entire process of creating a fully functional website. So feel free to read the brief descriptions about each of the available WordPress themes until you find a theme that you like. 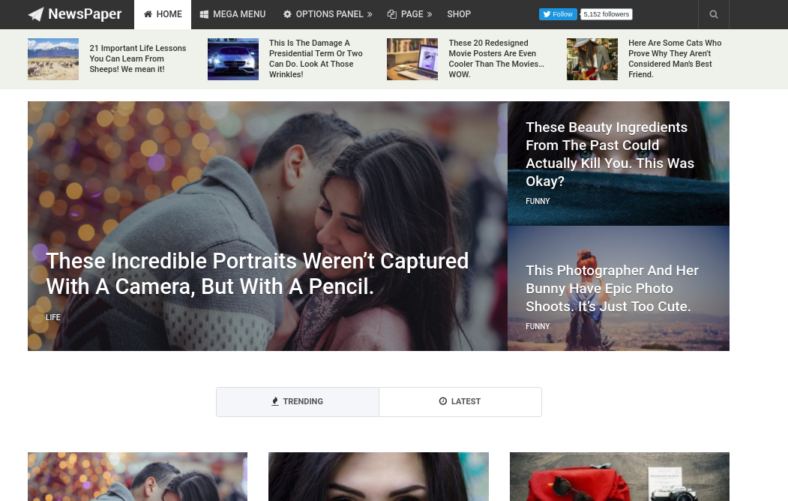 This beautiful, elegant-looking blog WordPress theme is called NewsPaper, but this theme is not made just for the purpose of displaying news. Rather, this WordPress theme is designed to be completely capable of handling multiple content such as audio and images, which makes it a perfect candidate for the creation of a personal blog site that features constant updates and uploads. The advantage of being able to constantly update your site would be because of the fact that each update means new content such as articles, images, and even videos. This makes your site more dynamic and increases visitor interest in your site. Having media content on your site is always a good thing because it will allow site visitors to easily understand your topic and reduce the likelihood of these viewers saying that your site is boring. SiliconBlogger is a take on creating a high-quality personal blog WordPress website theme that is fairly cheap and easy to use. 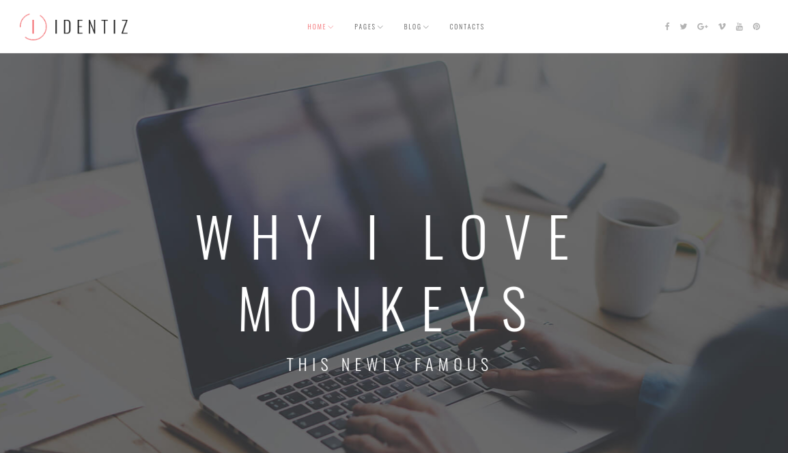 So whether you are a professional when it comes to using WordPress or you are still a novice, you can easily use this personal blog WordPress theme with very little hassle. SiliconBlogger is an ideal WordPress theme to be used for the creation of news websites, online magazines, personal review sites, or even just simple personal blogs. This is because SiliconBlogger is also designed to be a rather flexible WordPress theme, making it capable of being used for almost any type of website you are going to be creating. Its clean and elegant design allows viewers to easily focus on the content within your site. But this theme is not all looks. It comes with a variety of useful features as well. An example is the post format feature that allows the site manager to easily arrange the way the contents are being posted on the site. Zum is a personal blog WordPress theme that is filled with several luxury design options that makes it ideal for someone who wants a chic-looking theme template for their blog. This theme is designed to be as modern-looking as possible when it comes to the visual aspects of the site with its colorful and lively appearance making it more pleasing to the eyes. It also consists of several possible layout combinations that will easily let you decide which layout design you want to have on your site pages. 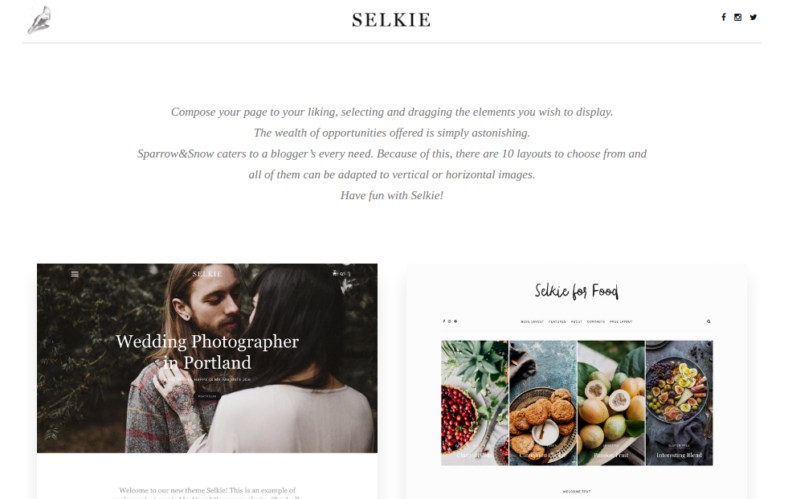 If ever you are in search of a personal blog WordPress theme design that could help boost the overall popularity and efficiency of your website, than the Selkie multipurpose blog WordPress theme is exactly what you need. Its spectacular homepage designs are made possible by the implementation of the Visual Composer Plugin that allows for the real-time editing and managing of the visual components of your website. There are 10 professionally made layouts to choose from that are all optimized to display posts and other important content on the site in the best possible way. One standout feature of the Selkie theme is the sidebar drop-down menu, which allows the site manager to create a modern look by installing the menu bar on the side of the web page. This is in addition to other features to the menu bar such as the ability to follow the scroll bar, known as the sticky menu option, making it less of a hassle for the site viewers in terms of locating the menu bar. Flowral is a modern, clean, and minimalist WordPress website blog theme that is focused on the idea of creating a perfect theme template for bloggers. This goal is achieved through the use of delightful visuals and functions that make this template a cut above the rest. For example, a feature that this theme template has is the ability to create and design the theme template easily with just a click of the mouse thanks to the variety of robust options and numerous features, including excellent customer service from its makers. One of the numerous features available is the post format feature, which lets the site manager easily manage and arrange which posts and topics are available to readers depending on the preferences that have been set. This theme also consists of several plugins and add-ons that make the site capable of performing even more tasks. 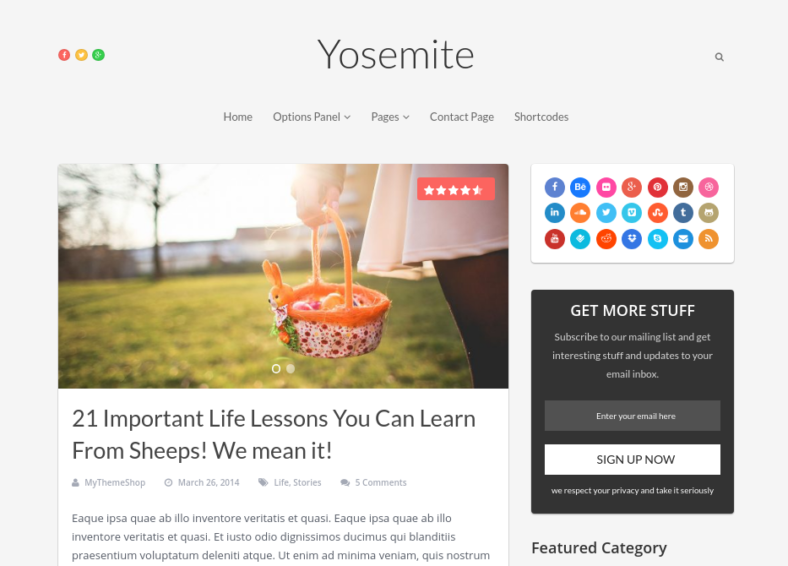 Yosemite is considered to be a clean personal WordPress blog theme in terms of design and function. The reason it is called clean is not only because of the simple yet elegant design but also because of how easy it is to actually use the functions and features that come with the theme template. One such example of a feature would be the ability to install several plugins such as the MegaMenu and the WP Review Pro. The MegaMenu plugin allows for the creation of certain types of menus as well as the addition of a menu in any portion of the site. The WP Review Pro plugin, meanwhile, is a simple review system that allows you to monitor the popularity or quality of a post. This theme template is also optimized for AdSense, a feature that allows users to easily display advertisements on their sites so they can generate some passive income. 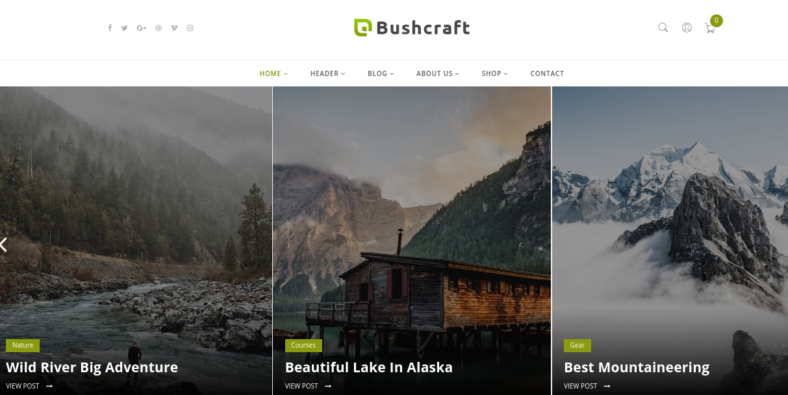 Bushcraft is a personal blog WordPress theme that can be used for the presentation of a blog, an online shop, product reviews page, etc. 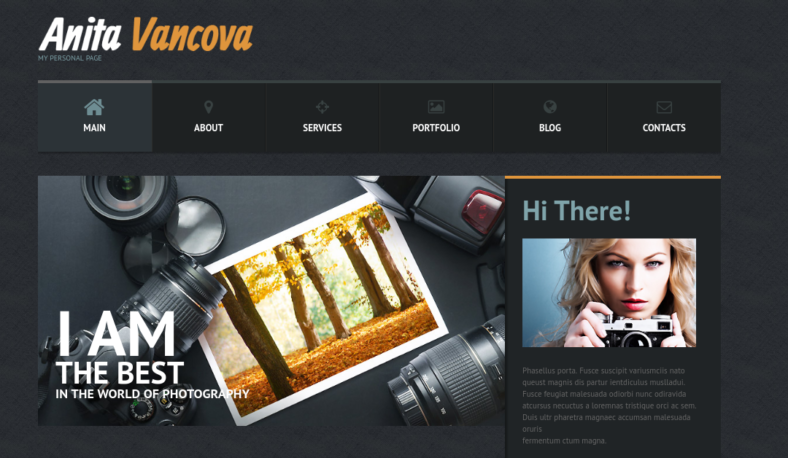 This theme template is designed to be a modern blog in terms of design as shown in the image above. The design of the web page is truly elegant and beautiful, from the images used for each post to the overall visual impact of the site. These visual designs are achievable thanks to the built-in visual composer feature, which allows for the creation of quality sites in terms of graphics and functions through a simple drag and drop function. Bushcraft is ideal for blogs that is focused on a variety of topics such as outdoor adventures and activities, travel, fishing, hunting, etc. 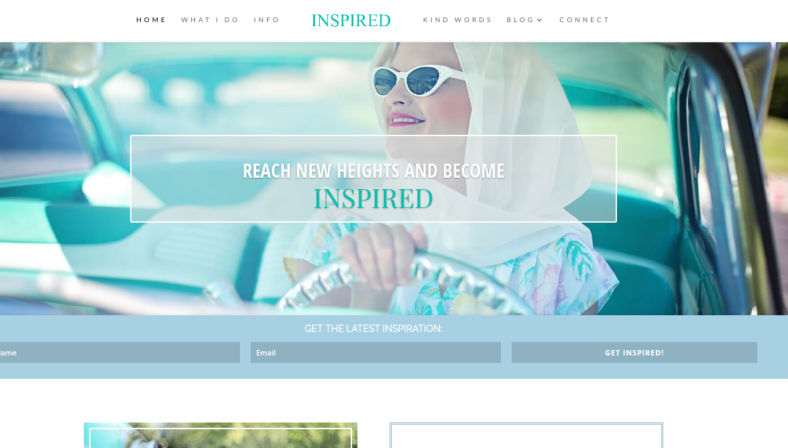 Inspired is a custom-designed child WordPress theme for bloggers and entrepreneurs. It comes with its own online instruction manual and tutorial on how to install and use the WordPress theme easily. 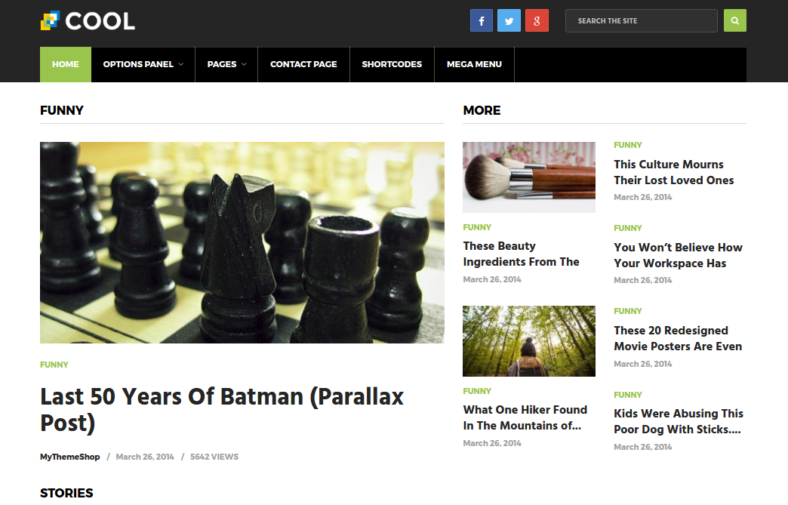 This WordPress theme is equally perfect for businesses and writers. However, the primary use for this theme is the creation of a custom blog site. This theme is completely customizable. You can change or customize almost any part of the web page to your liking, making it a very flexible theme template which can be used for other functions aside from the creation of an online blog. This theme even made the sidebars and footers into a form of a widget which would allow for the creation of custom sidebars and footers to match whatever design you want it to match. If you are ever in need of creating a blog-based business, then Woodday is definitely for you. Woodday is a responsive WordPress blog theme that is designed to be completely capable of fulfilling the needs of the person in terms of creating a site dedicated to a blog-based business. This is achievable thanks to the WooCommerce feature that allows for the creation of a fully functioning web store with a single click of a button. 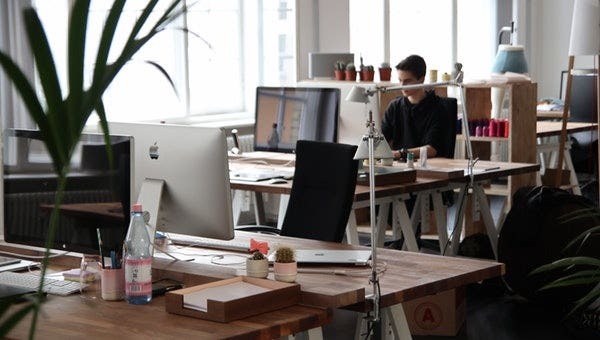 With its main feature being a responsive theme, it is capable of being accessed by any device, which means your business is also easy to access on any device. This theme has other features as well, such as the media support feature which allows you to upload audio and visual content onto your site. Identiz is a personal blog WordPress theme that may appear complex yet is actually simple to navigate and use. Its live customizer feature is particularly useful in manipulating the design of the site. You can also take your pick of multiple layout options. Aside from its professional-looking appearance, it is also search engine-optimized so that you can help your site rank highly in various search engines such as Google and Bing. Cool is an excellent example of a modern responsive WordPress theme that is both eye-catching in appearance as well as powerful in terms of function. This theme has so many customization options that you are almost guaranteed to be able to create and design your web page according to your exact standards and preferences. This theme will easily impress any and all of your site visitors simply because of how well put together the theme is in terms of appearance and function. As we all know, looks are only half the battle when it comes to the creation of a personal WordPress blog. The other half is functionality, meaning how well the site will actually perform the various tasks you need it to do. In this case, Cool has an excellent reputation in both design and feature. Personal Page is a responsive WordPress theme that is perfect for use in personal blogs thanks to the numerous features that are included upon purchase of this theme template. An example of one of its great features is that it is fully editable, allowing you to control and design every aspect of the web page to meet your preferences. Another useful feature is the custom post type that allows for the use of drafts when it comes to designing the layout of the web page. It even has multiple color options that allow you to mix and match different colors until you create the perfect combination for your site. 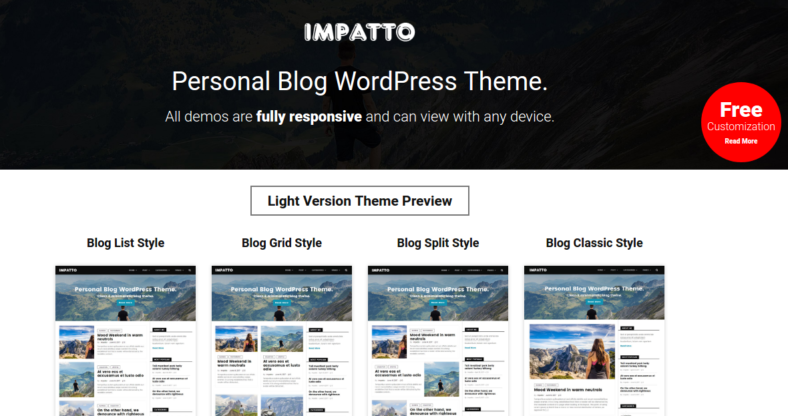 Impatto is a personal blog WordPress theme that is perfect for any blog type post. It is capable of running and maintaining content such as audio, video and other media files without showing any signs of slowing down the overall performance of the site. Aside from being able to run and maintain media files on the site, it is also customizable, allowing you to easily create and design your blog in whatever way you desire. This makes it easier to design and create your website than ever before. 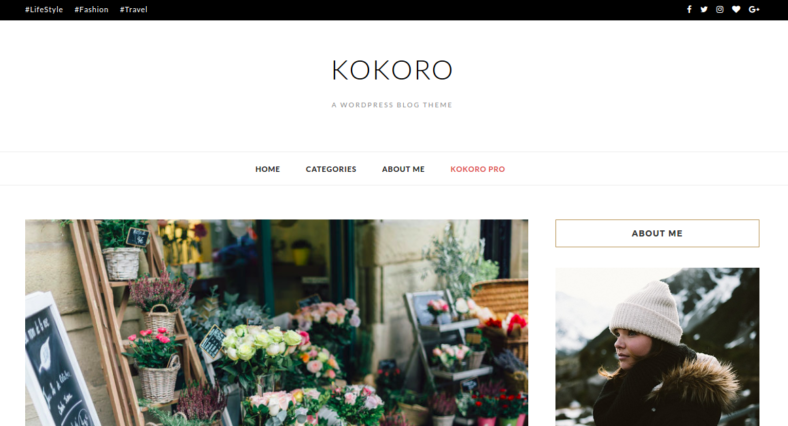 Kokoro is designed to be a clean and elegant blog theme that can be the right choice for bloggers who are fond of traveling around the world. The theme is especially suited for promoting interesting and eye-opening media topics, be it about the delicacies and cuisine of a certain country or the sights and tourists spots of a particular city. Also designed to be mobile-friendly, this theme is lightweight yet extremely powerful. It is easy on the network load and it allows the user to stream and upload media files to the site easily. It is even SEO or search engine-optimized, making it easy for your site to get a high rank in most search engine sites such as Google and Bing. Daisy is a clean and personal WordPress blog theme that is fully responsive and capable of resizing to fit the display sizes of any and all media devices used to access the site. It is easy to install due to its lightweight features, and you can begin blogging and posting content almost immediately after installation. It is also equipped with a feature called a theme-supported customizer that allows you to customize and change every detail of your blog, which makes it perfect for bloggers who are very hands-on when it comes to fine-tuning their websites. So if you’re planning to start a blog, consider getting this theme. Schema is considered to be one of the fastest loading blog WordPress themes available. It is also SEO or search engine optimization-friendly, meaning it is capable of ranking your site high in terms of the results of a search engine. This is a particularly useful feature because most people nowadays tend to look at only the top ten results that appear during searches. It features a custom options panel that allows for the easy manipulation of the design of the website and enhances the directory to be more user-friendly. It also consists of several short codes and several other widgets that can help you further customize your site to have the look you desire for it. The Life Coach responsive WordPress theme is fully editable, so you can definitely customize its appearance to make it look exactly as you want. It also has a multilingual feature that allows for the the easy translation of the content within its pages. In addition, the theme offers several custom post formats, which makes it easier for the site manager to manage and arrange any and all posts into whatever category they so choose. 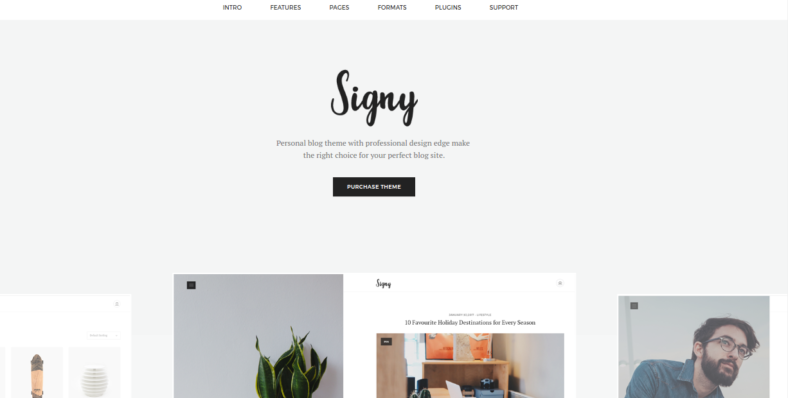 Signy is a personal WordPress blog theme that is well-crafted in both appearance and function. Given its sleek and basic design, you might easily assume that the site performs poorly, however, that is not the case. The fact is that due to this sleek and basic design, it actually allows for the easier management of the site, the reduction of the overall network usage, and the increase of the performance speed of the site without sacrificing its overall look and feel. All these great features and more make Signy one of the best blog themes available for easy reading and low system usage. This theme is focused on the objective of creating a site that is easy to read, clean in design, and offers excellent user experience. It was originally designed to almost entirely remove itself upon the selection of an article or post so as to allow the readers to focus more on the content and less on the actual design of the web page, making it a must-have theme for bloggers who wish for people to appreciate the content, not just the appearance of the site. 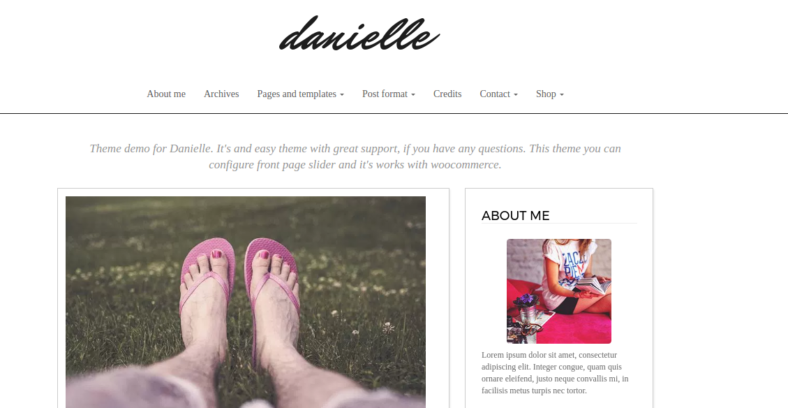 Danielle is simple yet perfect in design for a personal blog theme mainly because of its easy setup and alteration options, which makes maintaining and actually creating the site an easy task to accomplish. This theme features unlimited color options for the background of everything located on the site. It is comprised of two basic layouts, namely the grid layout and the slide layout, which are both useful for showcasing several galleries and media images. It even has several custom widgets that will make your site appear even more modern despite the clean and basic design. An example of such a custom widget would be the social media widgets that can be used to link your site to several popular social media platforms.